One of the “reasons” it took so long to buy the No Rhyme or Reason Farm — is that we were trying to get inspections done. There was a newly installed “pump thing” in the basement with a date of install of May, 2014. So, water must have been working/pumping recently. With the frozen winter and the lack of a functioning sink anywhere in the house, it was difficult to verify gallons per minute, or quality of the water. But there is a springhouse with a bubbling brook, so water must be present — and the quality must be good — because Florence (Reason) lived here until a ripe old age and the water didn’t kill her. All good “reasons” to go ahead and buy the farm. Now we find that the PVC pipe rising from the ground, is not exactly a well. It’s more like a PVC pipe shoved into a cistern that is about 12 feet deep. It appears to have a beautiful stone circular interior wall, like a wishing well. My wish is… I wish I had a well. 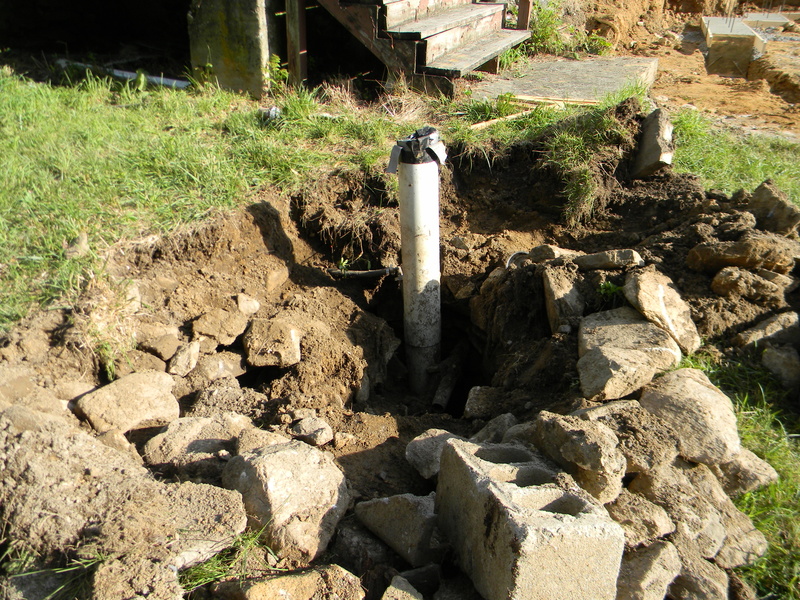 So now we apply for well permits, the builder stakes out a new spot in the front yard to drill a well and we bite our nails wondering how deep they will have to drill to give us a real well. In the meantime, walls go up, and walls come down. 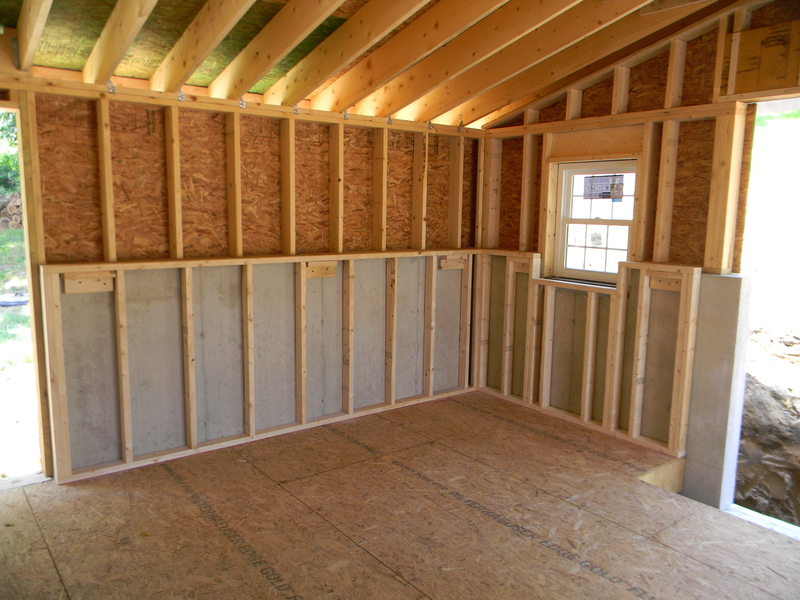 Walls on the addition and the garage rise quickly, get wrapped in Tyvek and topped with a roof. 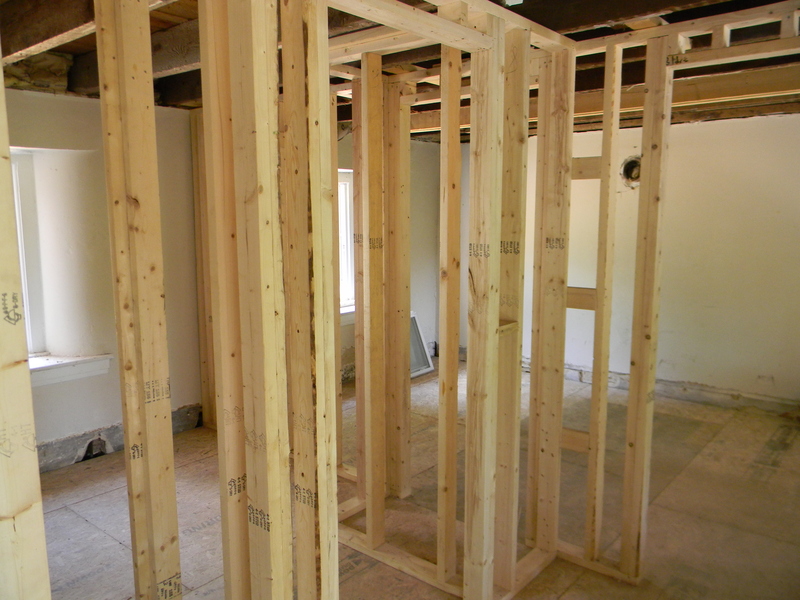 The framing takes shape for the guest bedroom and bathroom. And the wall comes out between the two bedrooms upstairs to open the space into one large Master bedroom. The stone wall comes down between the addition and the house to create an open flow between the kitchen and the family room. And stone comes out of the upstairs master bedroom to allow for a closet opening where we are stealing space from the bathroom closet. 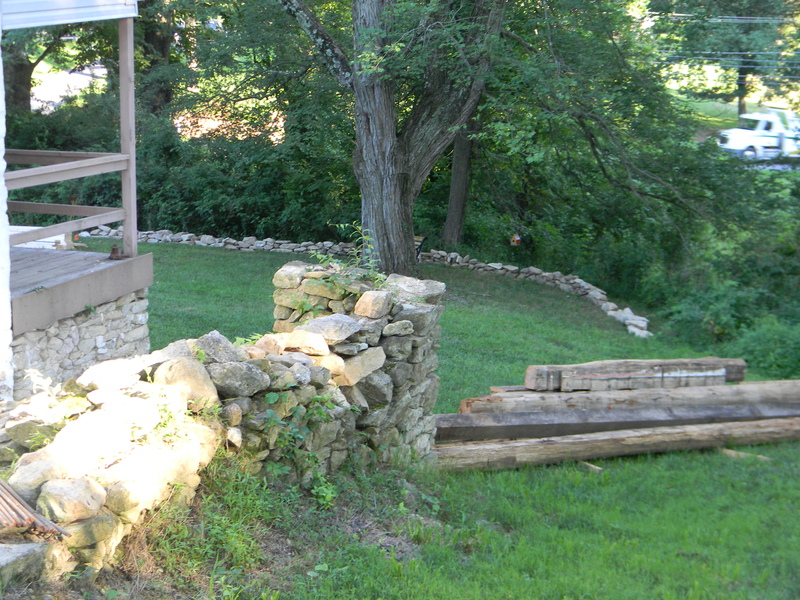 But the best wall is the one I am building with the stones from that $#^&* non-existent well. No point in having that beautiful circle of wishing well stones covered in, never to be seen again. I am pulling them out, one by one, along with other rocks laid bare by the excavation for the garage and the addition — and I’m making my own wall. Guest Room — Who will be first to visit?